On March 13, 1997, a series of mysterious lights appeared in Phoenix, Arizona. Twenty years later, the Phoenix Lights phenomenon is still widely considered one of the most infamous UFO sightings in human history. This provided the basis for director Justin Barber’s new psychological horror film, Phoenix Forgotten. Flickreel recently spoke to Barber about his film, as well as what really went down almost two decades ago. Q: The film was inspired by the Phoenix Lights UFO sighting, which took place in 1997. When did you first hear about the sighting? Did you witness the sighting firsthand by any chance? A: I guess I first heard about it when it first happened. I was a high school kid at the time in 1997 and I remember just seeing it on the news. I lived in Florida, but it was such a big story that it reached far and wide. At the time, I was growing up on X-Files. I remember writing a newspaper article for my high school newspaper about it. It was the kind of thing I was into. So yeah, I heard about it, but I did not witness it directly. Q: What do you think drew executive producer Ridley Scott to this project? A: I think obviously he’s just really interested in this type of material. Looking at his body of work, he has aliens on the brain. I guess the story of how it came about was that T.S. Nowlin, the writer, had been working with Scott Free on something else and just sort of happened to be able to pitch this idea to Ridley and he really liked it. Q: Was the film shot in Phoenix, Arizona? A: We shot in a couple different places. Yes, we did get to Arizona and I was able to shoot some daytime exteriors out there. A large portion of the film was then shot in Southern California and Los Angeles because it does take place mostly at night. In that case, it was not necessary to travel, but it was really important to me from an authenticity standpoint to get as much time in Phoenix as I could. Q: In the past, you’ve primarily worked in the visual effects and art departments, but Phoenix Forgotten marks your feature film directorial debut. How have your past experiences prepared you for arguably the biggest endeavor of your career? A: I started out in graphics and eventually I started directing commercials. A lot of the commercial work I’ve done is documentary oriented. I would get hired by GE, for example, to make a documentary about some project of theirs. So I guess I just had a lot of documentary experience by the time I set out to make this movie. That’s kind of what the movie is. It is sort of half documentary and the other half of it is sort of this found footage ride. For that, I reached back to my film school days where I more so studied narrative production and of course the visual effects component. Q: What do you think separates Phoenix Forgotten from other documentary-styled, found footage movies. A: That was a challenge because there are some Phoenix Lights movies already and there are certainly a lot of found footage movies made every year. Going into the project, we wanted to do what we could to elevate it. We don’t want to make a Blair Witch knockoff, although I love that movie and I think it’s really scary today. We wanted to create something that was a believable documentary that slowly goes off the rails and becomes a found footage ride. So the challenge there was creating a documentary that was fictional. It’s based on a real event, but we inserted fictional characters and then the story kind of takes off from there. A pet peeve of mine is when I see moves of this nature, but it’s not at all believable. You’ll see a found footage movie, but it’s obviously overproduced. Like everybody in it is a model, yet it has this device where it’s trying to convince you it’s a real documentary. If we were going to do a movie of this nature, we wanted to make sure we were going to pull it off. That was a challenge, but I think we did that in a couple different ways. Q: Did you meet with any of the people that experienced the Phoenix Lights sighting firsthand? A: Yeah, like I said at the outset, I wanted to treat this as real world material, kind of put on my documentary filmmaker hat. So I went to Phoenix a number of times and talked to different experts, whether it was astronomers or people in the community, and I did track down some eyewitnesses. Everybody seems to have a different opinion about what it was. Some of these people I met early on just in my initial research actually ended up making it into the movie. For example, there are two guys that run the Phoenix Astronomical Society. They’re two local astronomers. Basically these are the kind of guys that get phone calls in the middle of the night when people see weird stuff in the sky. When I went and met with these guys to get their take on what it was, they were such interesting characters that I realized I had to put them in the movie. Q: Do you believe that the government isn’t telling us everything they know? A: I definitely think it’s possible there are things they’re keeping a secret. One good example is that Governor Fife Symington, when the Phoenix Lights happened and became this really big story because so many people saw it and some people were really freaked out about this and wanting the government to look into it or provide some explanation, then finally one day the governor came out and was like, “okay, we’ve determined who caused this. We caught the perpetrator of this event. Now we’re going to bring him out to show you.” Then a member of his staff walks out in an alien costume and everybody has a big laugh about it. Then the governor says, “It just goes to show that you people are taking this way too seriously.” So at the time, the governor of Arizona was making a big joke out of it. Then a decade later, the governor, now a private citizen, had an interview on CNN and now says that actually he saw the Phoenix Lights, he saw something that looked like a UFO that night, but at the time everybody was so panicked that he just wanted to do something to deflate the situation. Now it’s like he’s come clean – that is the governor of Arizona admitting to not disclosing the truth at the time and now claiming that he saw something much more spectacular. Is the government lying about the Phoenix Lights or are they perpetrating the Phoenix Lights to distract us from something else? I think one way or another, we don’t know the whole truth yet. 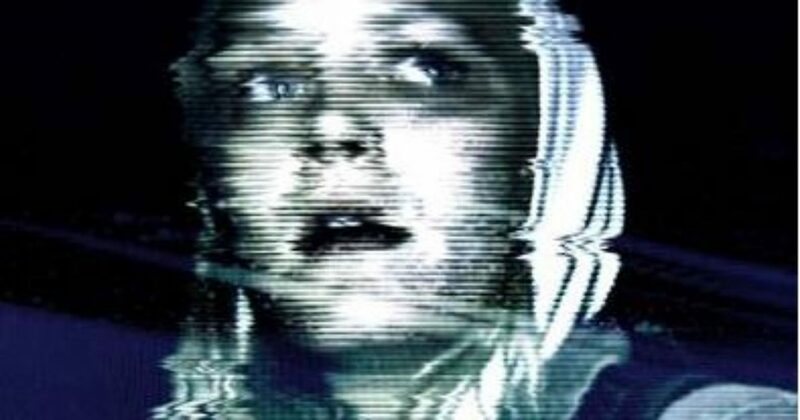 Look for Phoenix Forgotten on April 21. This entry was posted in Interviews and tagged Horror, Mystery, Sci-Fi on April 21, 2017 by Nick Spake.